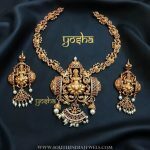 Antique gold temple jewellery necklace set from PNG jewellers. 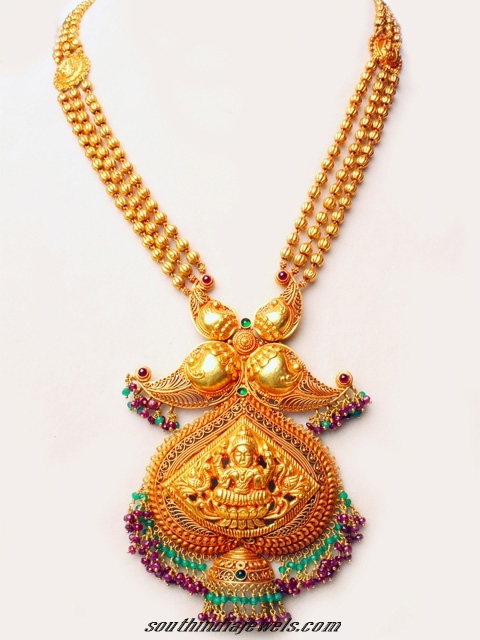 Three rows of gold beaded chain is attached to traditional goddess image embossed antique pendant. 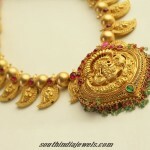 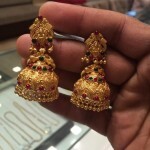 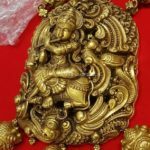 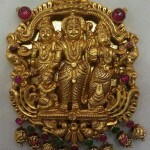 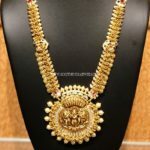 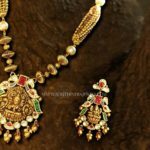 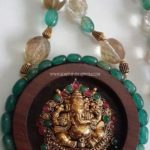 For more temple jewellery designs, check this out.